This aluminum ship 10.4 m long and 3.5 m wide is for diving clubs or can be used as a passenger’s vessel. She is designed to French standards, can be used as CE or NUC in maritime or in closed waters. 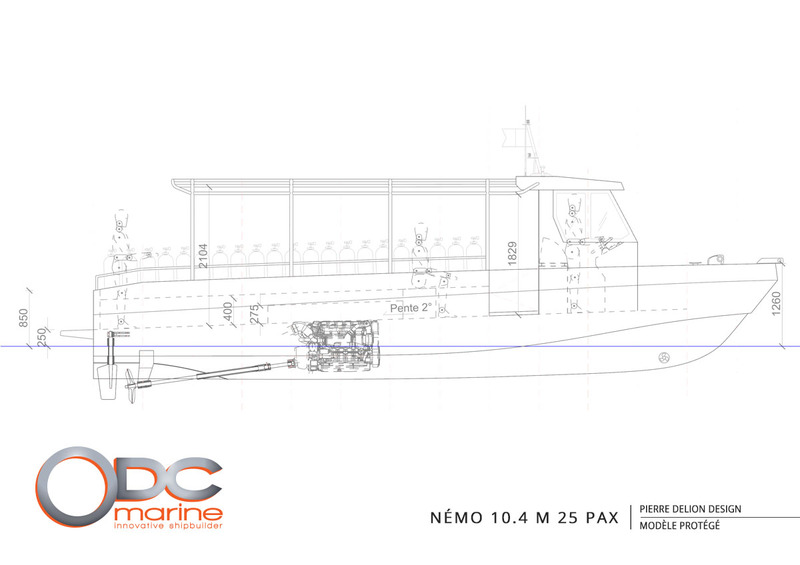 Her CE capacity is 24 divers plus the pilot, it should be limited to 12 passengers as NUC for passenger boat by French approvals. She is available with gasoline outboard or diesel Inboard in Z-Drive with or without electric Hybridation as well as full electric.